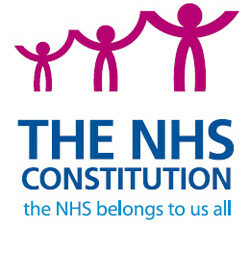 The Constitution sets out your rights as an NHS patient. These rights cover how you access health services (your right to choice), the quality of care you will receive, the treatments and programmes available to you, confidentiality, information and your right to complain if things go wrong. Directions given by the Secretary of State under section 8 of the NHS Act 2006 require Primary Care Trusts (now Clinical Commissioning Groups) to ensure that patients have the choice of provider for their NHS care when referred for their first outpatient appointment with a service led by a consultant. The Directions came into force 1 April 2009. It’s not always easy to exercise that right …..
NHS surveys show that only around 50% of patients attending their GP are aware they have a constitutional right to choose which consultant-led team (i.e Dr Smith or Mr Jones) they can see for their first outpatient appointment. Disappointingly, an even smaller percentage of patients do not recall their GP offering them a choice. You may be missing out on an earlier appointment at a time and place more suited to you or seeing the consultant that a friend or family member recommended to you. Example: a retired person living alone in Torquay needs to see a consultant about a possible hip replacement. As they will benefit from post-operative support, they may choose to see a consultant in their daughter’s home town of Sheffield and then spend some time there before returning home. The daughter’s mother-in-law speaks highly of the Sheffield consultant who did her hip replacement. This scenario is a great example of how the NHS constitution supports patients’ needs. The point is this: if you live in the UK and are entitled to NHS care, you can choose with which NHS qualified provider you have your first outpatient appointment and any subsequent procedure required (there are some exceptions: see the NHS constitution handbook for these.) You can also pick and choose the date and time. If your doctor decides that you need to be referred to a consultant, ask them what your options are. Tell the GP what is important to you, such as location or date, or the name of a particular consultant. The GP should offer you several options that are, to use their language ‘clinically appropriate’. You can then either make your decision there and then whilst with the GP, or you may choose to think about it, do some research on your options and decide later. The GPs are supposed to identify your options through a system called Choose& Book (they can’t possibly know all the organisations that provide NHS services!). Unfortunately some GPs do not use the system, either in part or at all. Despite this, you always have the right to choose. If they do use Choose & Book, your options for how and when you make your decision increase. b) ring the NHS The Appointment Line (TAL) and they will help you make your choice with reference to the details on the Choose & Book system and those available on the NHS Choices website. They will offer to book it for you using your UBRN. Be aware that in many parts of the country your GP will refer you to a Clinical Assessment Service, sometimes called a Referral Management Centre or Triage Service, where a GP with a special interest or other specialist clinician will assess whether you need to see a consultant. Unfortunately, when it comes to this assessment/referral process, you don’t have a choice. You should attend. After assessing you, they may offer alternatives such as physiotherapy, e.g. for a back problem. But if the decision after that is that you still need to see a specialist, then you do have constitutional choices and should have the same conversations with the Assessment Service as you would with the GP. If they are using Choose & Book, they should offer you the same choices as the GP, i.e. book it whilst with them or offer you a UBRN for you to book it yourself.